It’s October again, and thus it’s the season of spooky things. It only makes sense to play the scariest games out there to celebrate the upcoming holiday. Even better, I know of a new title that does a mostly great job of being extra spooky. It’s called Home Sweet Home, and it is terrifying. 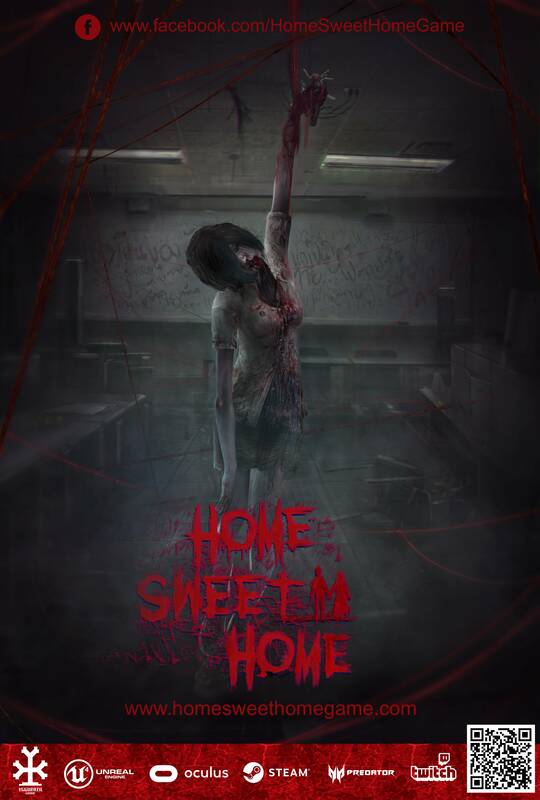 Home Sweet Home is a game from the folks at YGGDRAZIL Group Co., a multi-faceted production company based out of Bangkok, Thailand. They offer a whole bunch of cool stuff – VFX, animation, VR stuff I can’t afford. But we’re here to look at their horror game. Home Sweet Home was released September 27, just in time for the October spook-a-thon, and the team at YGGDRAZIL outdid themselves. I know Home Sweet Home has made my October much scarier. On a related note, I will be avoiding narrow and/or poorly lit hallways for a little while. For a fraction of the price of A-list horror titles like Resident Evil and The Evil Within, Home Sweet Home offers a pants-wettingly awesome game. The demo is available on the Steam Store; it’ll hook you, unless you don’t like horror, in which case, do not play the demo, it will not hook you, it will probably just give you nightmares. 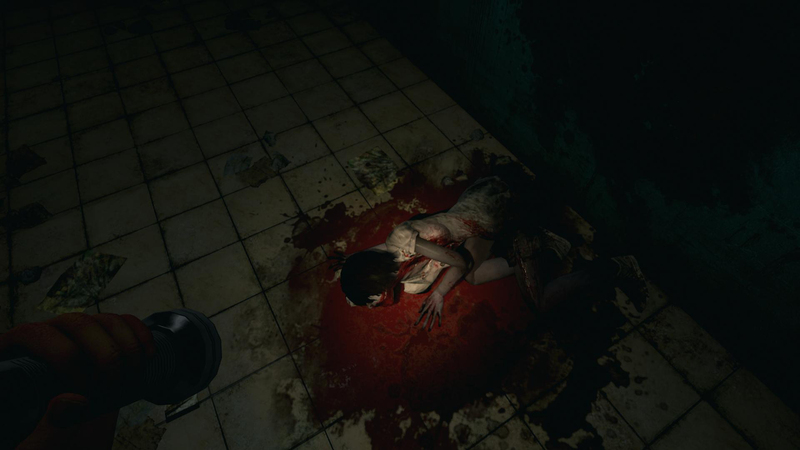 For everyone that loves horror but hates spending money, play the demo. And then spend the money on the game; because with the crap Hollywood is producing these days, you’re going get a better scare on Steam in this wonderfully scary season than you will in a theater. Home Sweet Home can give you that scare. Home Sweet Home offers a first person perspective, eliminating the comfort associated with similar titles that utilize a third-person camera angle. If you want to peak around a corner, you’re going to have to inch out and see if the coast is clear all by yourself. No angling the camera to reveal the next scare. 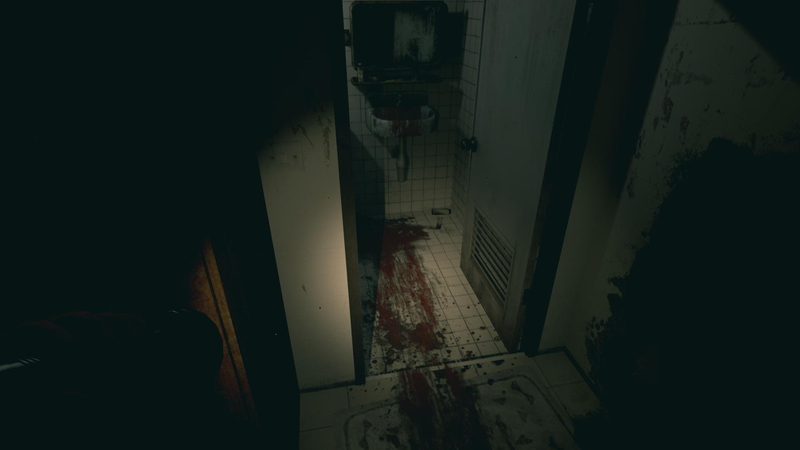 The game features a very claustrophobic environment, and if it were any other genre other than horror, I’d say it was bad level design, but it really brings on the fear in Home Sweet Home. 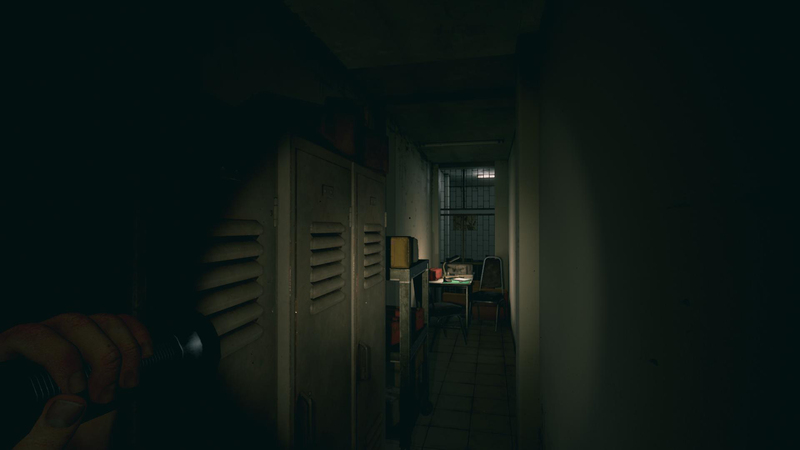 Narrow corridors, lights that flicker on and off without warning, ventilation shafts and all sorts of other tiny spaces that keep you tense; it’s the perfect atmosphere, if you’re into that kind of thing. And then there’s Tim. Poor Tim. As the victim of crazy hocus-pocus voodoo magic and our protagonist, he must escape the musty suburban labyrinth that holds him captive. Armed with only his flashlight and his wits, he must solve puzzles and hide in locker after locker to escape this surreal hell and make his way back to the real world. And there’s also some crazy demon witch chasing him. And a poltergeist. And some other spooky stuff. Not so bad, right? Tim can do it! Wrong. Tim is screwed. If you aren’t careful, you will find yourself on the receiving end of a biblical onslaught of punishment dealt by said crazy demon witch. Just when you think you’re safe, and you are positive that you slipped into that locker before she saw you, but then she’s rips open the locker and makes Tim soup all over the floor. The soup is… chunky. More like fleshy pieces of poorly cut, though sufficiently tenderized meat. The only real drawback in Home Sweet Home is Tim’s voice actor. He sounds just a little too enthused about being caught in a haunted murder house. Also, he talks to himself all the time. Maybe that’s why someone cursed you, Tim, because you’re the kind of person that needs to constantly mouth off when there are demons running about. We want to get out, too, so shut up and keep moving. It’s a demon, and it’s going to kill us. If it’s not, we’re playing the wrong game, and you aren’t Tim. Let’s do a little less yelling and do a little more not drawing attention to ourselves. But you can overcome Tim and his terrible tendency to say something obvious or unimportant at the absolutely worst times. He does have an immense capacity for remaining calm, I’ll give him that much. But that’s it. The rest is up to you, your flashlight and nerves of steel. Can you do it? Can you survive Home Sweet Home? Maybe. Probably not at night, and maybe keep the light on, too.